One of the reasons that the children love December is because our normal rules are relaxed a little. We have a few more treats than normal, we have a few more late nights and if we see anything that is new or related to Christmas then we normally have to buy it or if we are really lucky it gets sent to us. 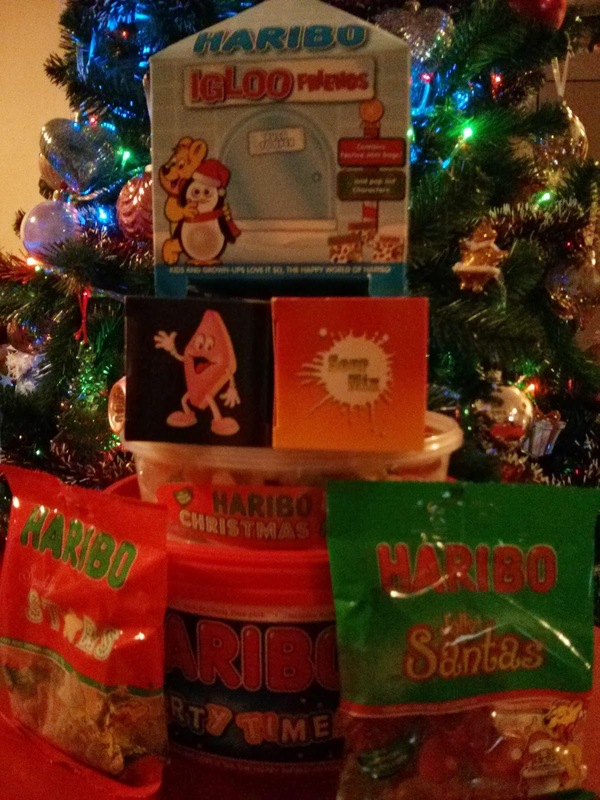 When a large box of Haribo Christmas goodies arrived, Big Boy was over the moon and couldn't wait until he was talking to Daddy on Skype so he could show him all the different sorts of Haribo that had been sent. I happen to know that Santa has been buying Haribo to put into our families stockings this Christmas Eve, which is rather lovely of him seeing as this lot of goodies, probably won't last until Christmas Eve! You'll have to go to a few different supermarkets if you want to buy all the range as some of the Haribo range are exclusive to various stores, but full details can be found on the Haribo website. We were sent the Haribo to review.